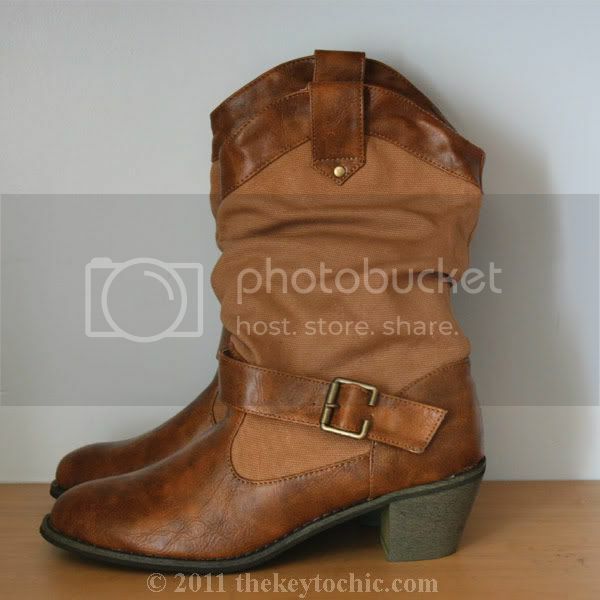 To say that I've developed an obsession with the ubiquitous Isabel Marant Dicker boots might be an understatement. In an effort to achieve that understated, wear-with-anything glamorous ankle boot, I bought a pair of affordable mid-calf cowboy boots for about $30 from Wet Seal. What drew me to them was their two-tone faux leather and canvas fabrication, the shape and height of the heel, and the nice buckle detail. I used my imagination when I first saw them and thought they'd make great ankle boots. A little trimming, folding, and some hand stitching did the trick. 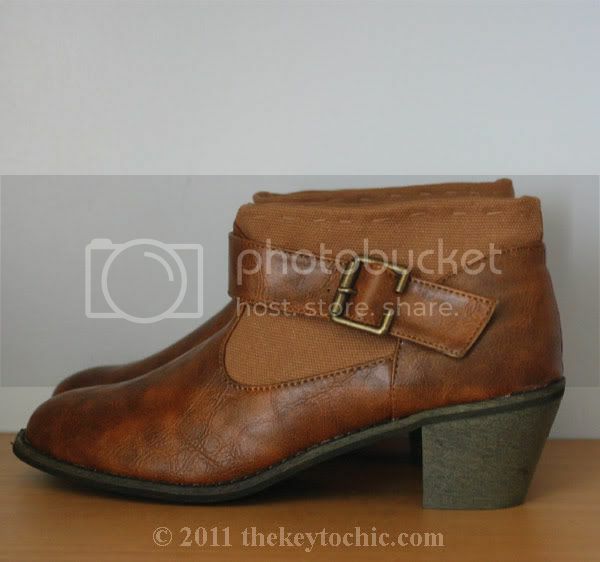 In the end, I have a pair of cowboy ankle boots that are more flattering and versatile than what I started with, and I'm happy with the final result. They'll work well this summer with floral maxi dresses, cutoff colored denim, and skinny jeans tucked into them.